The two essays were published in Artforum in 2013 - Pardon My French (Vol. 52 No.2 - October, pp 246-253) and Don’t Shot the Messenger (Vol.52 No.3 - November, pp 264-273) and present a sustained argument on the nature of contemporary art as the dissolution of medium and consequently of the artist. Predictably for de Duve, the issue arises with the work of Marcel Duchamp and in particular his Readymade, Fountain (1917) and as with his preceding publications, mistakes here lead in turn to a flawed view of art in general. Here, de Duve advances a view of art history that is seriously skewed in accounting for the delayed impact of Fountain, its continued influence or inspiration. My aim is firstly to dispute this art history, but this would be incomplete without the additional issues of the Readymade and art in general. Since I have addressed similar claims in reviews of Jacques Ranciere’s ‘Aisthesis’, and Arthur Danto’s ‘What Art Is’, and covered some of the ground concerning contemporary art in Artforum’s 50th Anniversary edition and Terry Smith’s ‘What is Contemporary Art?’ I alert the regular reader to unavoidable restatement and overlap. The essays come as part of a series marking the centenary of the 1913 Armory Show for Artforum and reconsider the period or movement of Modernism from that time. Although Duchamp participated in the Armory Show of 1913, he did not exhibit his Readymades in America until 1916, and Fountain was not produced until 1917, so the link with the Armory Show of 1913 is a little tenuous, but the introductory paragraph (by Artforum staff) no more than excuses de Duve’s ongoing devotion to the importance of Duchamp’s Readymades. In fact the author’s starting point is not The Armory Show at all but discussion by Hal Foster in October (No.130, 2009) where he canvassed opinions on the standing and extent of ‘Contemporary Art’ - in what way it differs from Post Modernism and the Neo-Avant-Garde. Foster was by turn bewildered and indifferent to much recent art and circulated a questionnaire to seventy sympathetic curators and critics for views, eventually receiving thirty-five responses worth publishing, although these did little to allay his concerns, to judge from a subsequent interview. Crucially, Foster treated Post Modernism and the Neo-Avant-Garde as ‘paradigms’ or models rather than as movements or periods (so, properly the names need not to have been capitalised), as theories rather than styles, in other words. This more generalised approach is really the problem. His labels are bogged down and no longer organise or interpret new artworks effectively because they lack any more precise analytical tools, any stylistic distinctions. De Duve notes the problem (p.248) and sees it as setting a dubious programme for artists, but not, curiously, a problem in considering art history by which we might assess such work. The author proposes an historical solution by reconsidering Modernism, since it is the basis for ‘post’ and ‘neo’ labels, but in a way that eschews ‘paths of influence, evolution of style, histories of taste, hagiographic biographies of artists, formalist genealogies, epiphanies of visuality, the construction of a canon’ (p.248). Instead he nominates an ‘aesthetic route’ that prefers social history and scrutinises ‘aesthetic decisions’ that go toward forming a work, within and without the artist. ‘Aesthetic’ in this sense hardly does more than gloss the art historian’s styles and influences obviously, and does not even distinguish between art and beauty as one might expect with novel use of the term. For ‘aesthetic decisions’ of this kind rely upon a discriminating grasp of tradition within a specific branch of art and talk of this or that ‘decision’ determining the making and understanding of a work without recourse to styles, tastes, precedents and so forth only begs the question of more substance, of decisions over which aspects of a work, how? De Duve shuns the low road and patient spadework however and looks to the high road of sound reasoning, rigorous scrutiny of consequences, but these hardly compensate and logic, unfortunately is not de Duve’s strong suit. The author then considers the phrase ’N’importe quoi’ (roughly, ’So what?’ or ‘Whatever’) as supposedly typical indifference to contemporary art, as tacit acknowledgement that art now accommodates anything or fails as a coherent category – although whether this is quite what Foster had in mind is doubtful . De Duve asserts that ‘It is nowadays technically feasible and institutionally legitimate to make art from anything whatsoever’ (p.249 – his italics) but the claim is considered impossible to prove or disprove and only to be entertained in order to see where it leads or if it proves fruitful. For that the reader must await the second essay, Don’t Shoot the Messenger. In the meantime Pardon My French charts the delayed impact of Fountain, its lengthy exhibition and publication history steadily allowing greater recognition by the 1960s and then the work of artists from that time, supposedly carrying its ‘aesthetic’ forward. But tracking Duchamp’s influence (even while resisting the term ‘influence’) hardly does justice to broader matters of Modernism and its radical experiments. To assume that the Readymade arises in isolation or achieves a priority for progressive art during this span is to ignore developments in abstraction across painting, sculpture and printing (including photography and film), their integration with the applied arts (in institutions such as The Bauhaus and elsewhere from that time) with performance and literature, with the interest in unconscious and irrational content, in pictorial paradox and mysticism. If there really was just one avant-garde it clearly advanced on multiple fronts, but since not all fronts or branches were equally compatible, it is as true to talk of multiple avant-gardes, if any. Certainly the avant-garde as conceived by Clement Greenberg and cautiously endorsed by Foster, places no importance upon Fountain or indeed the work of Duchamp. Summary treatment of post-war developments is equally cavalier. While Duchamp’s influence undoubtedly persisted, the growing interest in performance in fine art – subsequently a crucial plank to Conceptual Art – owes little or nothing to Duchamp. For example, George Mathieu’s staged paintings from the early 50s make the transition from Action Painting (after Jackson Pollock) to acting painting, complete with costumes, orchestral accompaniment, audience, and eventually television coverage, and owe something perhaps to Dali and Surrealism but this kind of extroversion is the antithesis of Duchamp’s engagement. John Cage’s interest in Zen Buddhism and The I Ching – vital ingredients to his monitoring of a range of sights and sounds to a musical performance – are quite distinct from Duchamp’s detachment and stealth gambits, although de Duve tries to co-opt them (p.266). Significantly, Cage’s famous Theatre Piece No. 1 (A.K.A. The Event) from 1952, was performed at the Black Mountain College (N.C.) with its prominent Bauhaus curriculum steered by Josef Albers, emphasising the integration of various branches of the arts and applied design. It is this multi or interdisciplinary approach that provides Cage with the platform upon which to orchestrate his range of activities and expanded musical score. Nothing like this is anticipated or suggested by Fountain or any of Duchamp’s work. Alan Kaprow’s subsequent ‘Happenings’ from 1958, similarly mix performance, assemblage or sculpture with radios playing and recorded music. Kaprow cites Cage and Pollock as influences but again de Duve disingenuously attributes such adventure to Duchamp (p.267). The Duchamp ‘message’, as the author prefers to term it, simply assimilates subsequent innovation because for de Duve Fountain implies that anything goes, therefore anything novel registers Duchamp’s ‘message’, although strictly, anything ought to include the same or traditional things as well, in which case all subsequent art answers to the Duchamp message, rendering it trivial. Equally, if a ‘message’ can be so sweeping, then Duchamp’s message is surely implicit in Cubism from which Duchamp’s work immediately derives, so it is Cubism that properly carries the radical demonstration concerning materials and medium. But this exaggeration of message or influence only alerts us to the folly of the extravagant premiss; that Fountain signifies anything goes as art. Indeed, the author’s tortured substitution of ‘message’ for ‘influence’ achieves little. He shuns the standard apparatus of art history but is then inconvenienced when considering the impact or continued interest in Fountain by later artists, such as Ben Vautier, a minor associate of the Nouveau Ŕealistes and record store owner in Nice in the early 60s. Vautier declared he was ‘authorised’ by Duchamp to leave his small construction Black Box (1962) – a small black box with no top - empty (Illustration p.247). De Duve claims that this is different from being ‘influenced’ by Duchamp (p.249) yet since Vautier has nominated Duchamp as a source for his working methods, influence is the appropriate term. Vautier’s characterisation of this influence as authoritative is merely a matter of kind. De Duve later complains that ‘influence’ is too directly causal or one-way, too determinate to adequately describe the reception of Duchamp’s ‘message’ (p. 266). But whether we reconsider a precedent in light of later work or later work in light of a precedent, merely articulates or fine tunes the relation. And whether we have a determinate message to the author’s liking, such as ‘anything goes’ or an extensive influence and precedent, matters less than observable evidence. The author happily enlists Andy Warhol and Claes Oldenburg as receivers of ‘the message’ but their respective works plainly do not support the relation. De Duve can cite a little society gossip concerning Warhol’s admiration for Duchamp’s fame (pp. 250-251), but Warhol’s Brillo Boxes (1964) (illustrated on p. 273) on closer inspection are not Readymades or even replicas or facsimiles. They are sealed wooden cubes displaying two-colour graphic silkscreens on each side, without commercial expertise. Nothing of the contrast between printing and painting or sculpture, of the comparison with Minimalist modules, owes anything to Duchamp. Similarly, Oldenburg’s The Store (1961), with its whimsical papier mache toys and vigorous painting share nothing with the Nouveau Ŕealistes attention to junk, sorting and containment (p.250) is actually closer to Dubuffet than Duchamp. Such glib assimilation no more than dissolves the message. The triumphant claim that ‘By the mid-60s virtually all significant young artists on both sides of the Atlantic, South American included, had their eyes on Duchamp or were under his spell (p.253) implies that developments in Minimalism with its attention to modularity and serial presentation in sculpture and painting, in print-sourced imagery for painting as Pop Art and then Photo Realism, in nascent efforts in Pattern & Decoration, Funk Art, New Image Painting, Bad Painting and Neo-Expressionism were hopelessly outweighed or outnumbered by Conceptual Artists. This is not only false but reveals a pitifully stunted view of the period and innovation. De Duve’s myopia concerning Duchamp simply fails to address the declared topic. Nor does the aesthetic route prove notably fruitful. Don’t Shoot the Messenger labours over the misconceptions of Okwui Enwezor and Joseph Beuys in assuming that the artist is granted authority over acceptance and interpretation of a work with the advent of the Readymade. De Duve corrects the mistake that the Readymade gains its meaning upon entry to a museum, but is intent upon the politics within curated or salon shows such as those in which Duchamp submitted works, upon Duchamp’s own sly manoeuvres there, but completely misses the larger point that a Readymade need not even be exhibited publicly to still function as a work of art (as evinced by photographs of works displayed in the artist’s studio and the possibility of private sales and collections). Nothing in the work relies upon the presence or approval of the general public. The essay concludes by asking what a so-called Independent Salon was, strictly independent of. While the answer may hold some sociological interest it is hard to see what light it sheds on the nature of Modernism, much less developments since then. But even before the feeble conclusion, the whole premiss is fatally flawed. Nothing about Fountain announces that anything can used as a material for sculpture or that ‘when a urinal is art then anything and everything can be art’ (p.250). Duchamp actually stressed how carefully he selected the objects he wished to present as Readymades; that there was nothing arbitrary about those qualities he wished to draw attention to, or by which to ‘create a new thought’. His interest lay in certain qualities of industrial or applied design, often concerning bodily extension and the way these converge with matters of abstraction and ‘truth to materials’ in sculpture. The works re-orientate everyday objects; occasionally add a signature or title, which actually reinforces a certain positioning or orientation. But essentially the works depend upon showing the banal object as unexpectedly elegant shape, finish and novel material or technique – as abstract sculpture. Duchamp’s inspiration in this is unquestionably the use of collaged materials in the Cubist works of Picasso and Braque. There, three-dimensional objects, such as cane chair weaving or wallpaper are presented for conspicuously two-dimensional properties, usually in contrast with drawn or painted outlines and volumes. For Duchamp, the three-dimensional object may equally be displayed for other overlooked or unlikely qualities, by concealing or denying more practical or familiar functions. And obviously in the case of Fountain the reorientation may seem provocatively slight, the abstract qualities a nugatory insight, but whether it is an excellent or poor sculpture, comic or tragic, it is first and foremost to be taken as a sculpture. So reorientation of a Readymade is not dependent upon an institution or public occasion, is not merely a matter of choice or nomination by the artist and cannot use just anything to properly display an extreme ‘machine aesthetic’ in sculpture. The further claim by de Duve that ‘anything goes’ or that it is now ‘technically feasible and institutionally valid to make art from anything whatsoever’ is equally misguided. It is not technically feasible to stack two light years next to the sound of Pomerania dissolving or the smell of Ulysses, one proton at a time, and these, not as just subject matter or theme but the constituent materials of an installation, movie, performance, text, sketch, score, sculpture, painting or print. Nor is it institutionally valid to auction off the building or holdings of the institution, to murder staff or visitors or fill the building with toxic waste without due precautions, as works of art. Institutions must firstly observe the law. While a great many more materials and techniques are available to art today, ‘anything whatsoever’ is neither technically feasible nor institutionally valid. The belief that variety of materials and means available today are infinite and that proof must be empirical, is naive. Comprehensive refutation need only appeal to incompatible, contradictory and criminal categories. The proposed syllogism that ‘When a urinal is art, anything can be art and when anything can be art, anybody can be an artist ‘(p253) obviously fares no better. Even if we play along that when a urinal is art, anything can be art; it does not follow that when anything can be art then anybody can be an artist, because the first proposition merely allows that art can be anything, under some further condition or conditions. But crucially, the conditions under which a urinal can be art do not deny the artist any special skills, either in assessing suitable objects or the context in which they may be appreciated. So the assumption that art can be made from anything does not encourage or allow that the artist can therefore be anyone (and strictly speaking no common term is shared by the two propositions, as a syllogism). Yet De Duve clearly considers this ‘de-skilling’ or gross egalitarianism a profound implication of Fountain, and the true agenda to which Contemporary Art ought to return. He would do better to re-skill his reasoning. Whatever the standing and opportunities of the artist, the work permits further categorisation. As the example of Fountain illustrates, the selection of object and presentation are carefully related to contemporary developments, especially concerning abstraction, so that the work is firstly a sculpture, of the readymade variety. A recurring theme in de Duve’s writing has been the collapse of categories or branches of art into an all encompassing single category – Art. Yet in an interview in 1959 Duchamp explicitly rejected just such a definition of art, seeing his Readymades as counter to it. De Duve is not obliged to respect the artist’s intentions of course, but there is no evidence for this sweeping reduction over the course of Modernism in any case. Moreover, a work logically cannot belong to mutually exclusive branches of the arts, although themes or subject matter may be shared. A work cannot be dedicated to two-dimensional reference as well as to three-dimensional reference, temporal and non-temporal, purely aural and purely visual, mobile and inert. 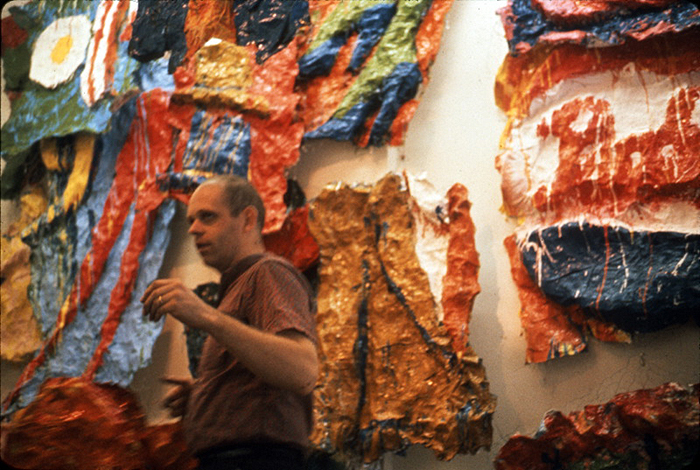 There are of course, intermediate works and categories that may combine, for example, painting with sculpture, text with music, dance and poetry and so on, but the development, when not distinct sub-categories, remains peripheral or of limited projection because any advance in mixture of the two only weighs the hybrid toward one or the other existing categories. Nor are numbers sufficient compared with complying instances of existing categories to warrant merger or revision. Hybrids no more than reinforce accepted categories, are the exceptions that prove the rule. Traditional categories not only set standards in subject matter and treatment but extend to materials and technique. In this respect it is misleading to talk of the different branches of the arts as if they were matters merely of medium or means. For means are intimately tied to their ends. The message begins with the medium or the medium ends with the message. Hence there is no point appealing to ‘any’ material for all art, since all material will suggest or fall under one or other of art’s branches. There is no one all-encompassing category for any material, no one untried and exotic material with which to build such a category. Indeed, it is precisely this kind of reckless argument that is largely responsible for the difficulties contemporary art now encounters and with which critics such as Foster struggle. The problem is there are too few reliable and coherent categories or styles within branches of the plastic arts, too little discrimination between Post Modern or Neo Avant-Garde works and those that follow. We lack signposts even to navigate the territory, much less evaluate it. Lumping everything together as just Art helps no-one but the idle social scientist, looking for contrast possibly with science or religion, politics or commerce. What is needed is more and better stylistic distinctions within and across the branches of the plastic arts and ultimately, perhaps new branches. In the past, branches have been cut from the arts, such as landscape gardening, at the end of the 18th century and others, such as the novel added to literature. In the twentieth century the advent of motion pictures eventually prompts recognition of a ‘seventh art’. Motion pictures shares performance and drama with the theatre although is rarely a strict recording of script and offers distinctly pictorial qualities with its screen as well as editions or numbers, pacing literature and prints. The form grows more complex with the appearance of television, altering viewing conditions. The use of video tape, its cameras, recorders and players alter production and so far digital replacements in turn allow internet distribution and still greater flexibility of production and reception. But motion pictures as an art and its academies are still dominated by the model of the popular feature ‘film’ with its stories, spectacles and stars and offer only token acknowledgement of less obvious narrative, more pictorial or ‘art’ movies. Actually, since film is no longer the main means of recording movies and cinema not the exclusive means of viewing, even framing discussion of motion pictures – or movies – has become problematic within its institutions and studies. One consequence of the problem is ‘video artists’ seeking recognition in the fine arts and creating problems in displaying temporal works adequately, particularly where they use intrusive sound tracks. The works detract and grate with other works, particularly non-temporal works, where not sufficiently isolated. The isolation itself is experienced as disruptive to an integral experience of the gallery. There are institutions that serve as museums of the motion picture now and attempt to provide a range of viewing conditions for the full array of movies but these have yet to achieve the prestige of public art galleries and suffer from another projective handicap. So ambitious video artists are reluctant to accept lesser standing there and are at a greater advantage seen as an important advance for fine or plastic arts. But the rationale for their inclusion in art galleries hangs upon a tendentious and unconvincing version of art history – as the progression from one branch of the arts to another. Most damaging, it is a history that has simply stood still for at least twenty five years. This problem for contemporary art suggests an administrative solution. Similar separation might usefully create a new branch dedicated to installations, site specific and temporary works, including non-theatrical or ‘art’ performance. This cluster is often unfortunately termed Conceptual Art (discussed at greater length here). Again, such works sit uncomfortably alongside the plastic arts in their scale, duration, interaction, sounds and even smells. Such activities are better served by a more flexible staging space, perhaps closer to an arena than gallery, but similarly requiring considerable storage facilities. As importantly, the subdivision allows us to see works as more than just wilful departures from established art practices or as novelties for their own sake. It should help to see more clearly how the works function as reference to the wider world, to the kind of resources and processes they sample. If the works are to truly consolidate their place in the arts, some such specialisation is necessary. As it is, contemporary art flounders, with its critics crippled by absurd doctrines, institutions no more than recycling their platitudes and a market grateful to maintain business as usual. Change in this starts with recognising mistakes.